Oswego City Hall, 1938. [Display caption]: City Hall was on A between State & 1st and was built in 1926; it housed the two private library collections which were later taken over by the city in 1930 when the Oswego City Library was formed. Description Yellowed in upper right corner; pinholes. 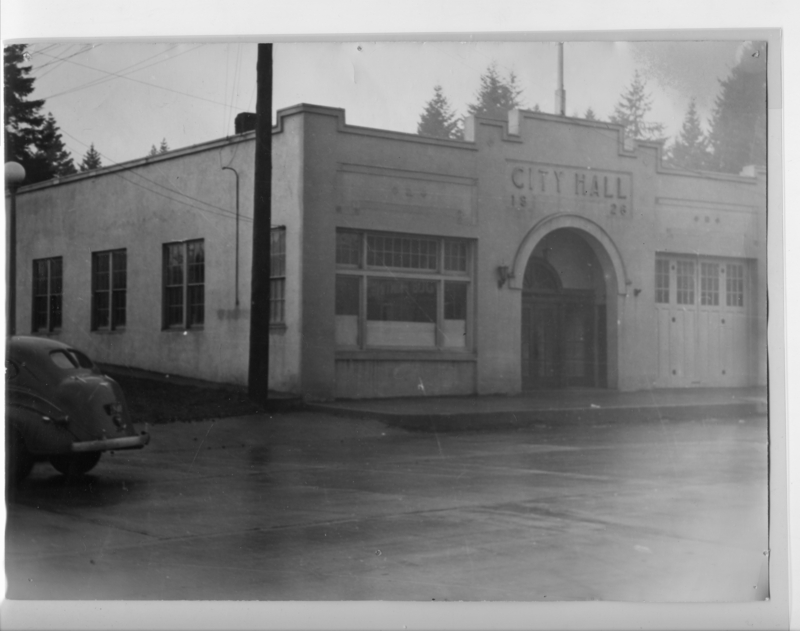 On building: City Hall 1926. Transcription Oswego City Hall, 1938. [Display caption]: City Hall was on A between State & 1st and was built in 1926; it housed the two private library collections which were later taken over by the city in 1930 when the Oswego City Library was formed. Physical Description H 7" x W 9.25"